Modelling on and off for almost forty years. Mainly interested in aviation subjects. I trending to building 1/32 mainly. I admit I’m a aviation junkie. 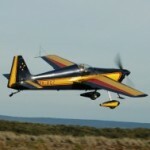 I fly small aerobatic aeroplanes and have a share of a Stephens Akro Laser. I’ve been flying for 28 years on and off.